For the finale of a TV show, the second-to-last episode is spent building tension. You’re supposed to question everything about a familiar place you’ve inhabited for 10 episodes. And then when the finale arrives, the unexpected payoff packs an even stronger kick. That’s how it felt to walk back to the office down Broadway in New York City, the new Bacon Smokehouse Burger sunken into one of the most recognizable paper to-go bags in the world, the seasoned finale to episodes of buildup. Reviewing McDonald’s burgers is like reporting a story people have known for decades. 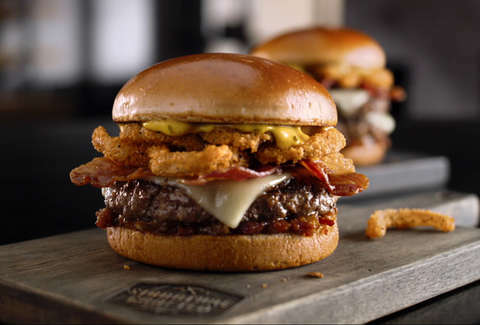 So when we were asked to review the Bacon Smokehouse Burger -- which McDonald’s insisted would be a departure from what I’d had in the past from the most well-known kitchen of the 20th century -- we weren’t sure what new things we could say. Personally, I’m a $1 burger guy. It was my go-to after late-night drives, sneaking up to the McDonald’s after my parents went to bed to meet friends for a sandwich at the only place open for miles from my house. So years later, it feels like I’m breaking a pact I never actually made to meander over to the other side of the menu. 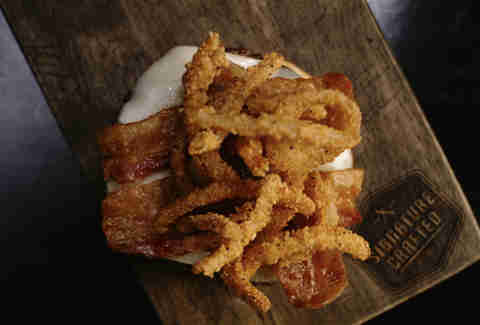 But there’s bacon and onion strings -- at the same time -- on the other side of the menu. So what the heck? Keep in mind, the burger isn’t some maniacal pivot from a classic, simple, tasty burger. There isn’t any wagyu, any truffle butter, any in-house kimchi. It’s fresh beef. It’s Applewood smoked bacon. It’s onion strings. It’s white cheddar. Sauce. All things that, alone, aren’t surprising. But together, it equaled more than the sum of its parts. In this case, that extra push came from the smoky bacon-onion sauce. Yes, there’s also a mild sweet mustard. But that’s not the unexpected thing, or the thing that put this over the top. With the bacon-onion sauce, the burger turned into a surprisingly smokey, then sweet, then savory hat trick -- a ton of flavor that felt distinctly McDonald’s without being something I could’ve pointed out on a menu before now. Clasped between the halves of what’s being called an artisan bun -- for our purposes, that means something that tasted like a pretzel bun, which I’m all for -- it was hearty without being over the top, enough food but not enough to knock me out, and probably would’ve been incredible with French fries. But here’s the problem with finding a food you crave, but also understanding the basics of physics: The Bacon Smokehouse Burger couldn’t just exist in perpetuity in its container. It would, eventually, be entirely on the other side of my teeth, and there was nothing I could do about that -- besides lean back in my chair, full of burger, and wonder if I should get another. 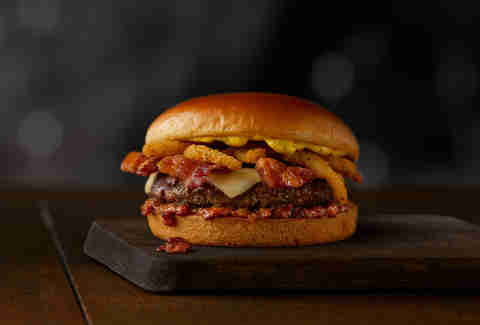 The Bacon Smokehouse Burger is available now at participating McDonald's.